"We went in with the hypothesis that adding the technology would be more effective than not having the technology, and we found just the opposite," said John Jakicic, author of the study, published in the Journal of the American Medical Association. "One of the things we didn't study here was, maybe these things are really effective for people gaining weight, but maybe that's different from helping people lose weight," said Jakicic, a professor and director of the Physical Activity and Weight Management Research Center at the University of Pittsburgh. "We need to do a lot more digging in the data to understand that." HOW DO I LOSE WEIGHT AND KEEP THE POUNDS OFF? It's not only dieters who ask this question; it's researchers, too. "We've been doing this weight-management stuff for a very long time and realized that we have really good approaches to help people lose weight in the first three to six months," Jakicic said. He wondered whether the increasingly popular wearable devices might help. "Activity monitors started coming onto the market in a commercial sense in the early 2000s, but they've really picked up steam in the last couple of years," observed Jakicic. The idea behind the new study, funded by the National Heart, Lung, and Blood Institute, was to compare two sets of dieters: those with wearable activity monitors and those without. Jakicic acknowledges having received past funding from Jawbone, a wearable device company, and both he and two other researchers have received past honorariums from Weight Watchers International. For the new study, the researchers enlisted the help of 470 adults between the ages of 18 and 35. Each participant's body-mass index fell within the range of 25 to 39; commonly, 25 to 29 is considered "overweight," and 30 to 39 is considered "obese." Slightly more than three-quarters of the participants were women, and not quite a third were non-white. The researchers randomly divided participants into two groups for a 24-month weight loss study. Both groups participated in a group-based, face-to-face weight loss intervention. "We find those to be the most effective way to deliver these programs and cost-effective way to deliver these programs," Jakicic said. All the participants received counseling around nutrition and physical activity: the basics of healthy eating and activity. "But beyond that, more importantly, it's not just 'here's what you eat, and you need to exercise more,' " Jakicic said. Instead, the program was grounded in behavioral theory that helps patients understand why they are struggling and what's getting in the way. "How do I make it work today when yesterday it didn't work?" Jakicic suggested. Group sessions were scheduled weekly for the initial six months and monthly between months seven and 24. During those later months, participants also received brief (just 10 minutes at the longest) telephone calls once each month and weekly text messages. Half the participants were provided with and encouraged to use a commercially available wearable technology (with a Web-based interface), while the other half simply recorded their activity on a website. What happened? The change in weight at 24 months differed "significantly" by intervention group: The group wearing activity monitors lost, on average, 7.7 pounds compared with an average loss of 13 pounds for those walking "naked." However, the researchers reported that both groups showed improvements in body composition, fitness, physical activity and diet. Dr. Barbara Berkeley, a board-certified physician in both internal and obesity medicine, points to a simple statement in the study that indicates there were no "significant" differences between diet intake and physical activity for the two groups. "That means that something is amiss," said Berkeley, who was not involved in the new study. She explained that if there was "absolutely no difference" between what the two groups ate and how much they exercised, the average weight losses "should be the same whether the study subjects wore a device or not." Berkeley observed that studies on dieting are "notoriously hard to do," so adding exercise into the mix makes accurate research doubly difficult. The main issue is that any long-term study must rely on the participants self-reporting what they ate and how much they exercised, so accuracy is naturally a problem. Jakicic is eager to look more closely at the data, but he and his colleagues have come up with a few hypothetical explanations for the unexpected result. "Anecdotally, these devices tend to work or people tend to engage with them for about three months or so, and after that, a lot of people start throwing them in the drawer. They get bored with them," Jakicic said. Another possibility: Not everyone likes wearables. Instead, many people feel "'I got this device, and I just hate it,'" he said. Berkeley, the author of "Refuse to Regain: 12 Tough Rules to Maintain the Body You've Earned," noted that "weight loss is much more dependent on scrupulously following a weight-reducing diet than on exercise." Generally, she said, diet is more important than exercise during the active weight loss phase, but exercise becomes much more important during weight maintenance. 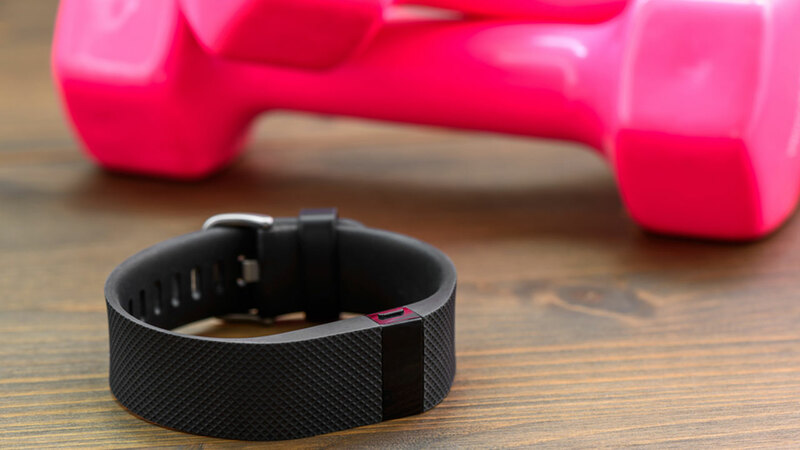 "It's entirely possible that those who were paying more attention to the exercise part of their regimen (because of the wearable device) were less scrupulous about their intake," Berkeley said. She added that exercising can often cause dieters to "feel that they've 'earned' the chance to eat more."